Q: How do I distinguish the ribbon tweeter and the Dreams driver; they all made by ribbon diaphragm right? A: The ribbon tweeter is becoming more popular today due to the innovations to the material technology! 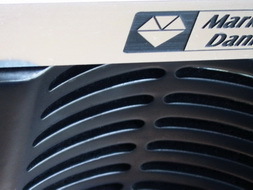 The primary advantage of a ribbon tweeter is due to its lightweight diaphragm providing a good HF response with high transit response over the conventional dome tweeters. 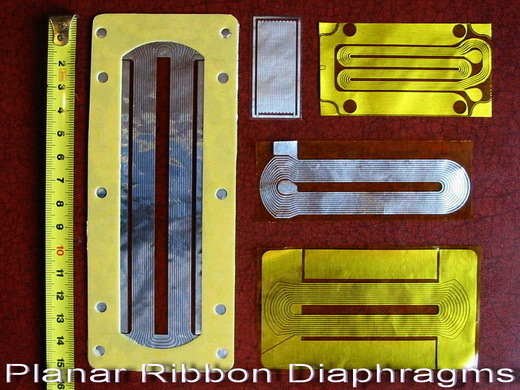 However, most of the planar ribbon tweeters (Quinsy-Ribbon tweeter, more precisely) today, are having an aluminum circuitry etched onto a planar substrate. The weight of the diaphragm cannot be too heavy to degrade the HF response; yet the diaphragm cannot be too small to avoid too narrow operating bandwidth. There are physical contradictions between the two parameters, similar to the conventional dome tweeters therefore. For some ribbon tweeters with larger diaphragm design, having wider operating bandwidth and higher power handling capacity; however, have cause less fidelity for music texture due to too heavy weight of the diaphragm. That is why we can see many larger systems have chosen using the line-array with many ribbon tweeters. However, the Dreams AMT (Air Motion Transformer) driver, with the pleated ribbon diaphragm design, is a more superior sound driver over the planar ribbon tweeters and the conventional dome tweeters, no matter in operational theory or in practical outcomes! Dreams AMT driver has a much larger diaphragm over the planar ribbon tweeters yielding a much less FMD pollution, yet each of the pleated micro ribbon is very light in moving mass, only about 6% to 20% as to a typical 1” dome tweeter. 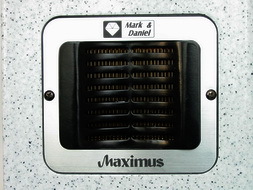 Since the micro ribbons have such low mass, it responds with an excellent transit and high-resolution texture to the music; on the other hand, the large total diaphragm assures a high SPL output with low FMD pollution. There is no diaphragm break-up distortion to complete frequency band, yielding lower distortions with less coloration. Another major feature of the Dreams is a wideband high-resolution driver rather than simply a HF tweeter. This is a truly significant breakthrough, since the Dreams can reproduce the music band starting from 800Hz or even lower, keeps the integrity of complete mid-range band (800Hz-4KHz), the most sensitive area to human ears!